Old man in contemplation by the Domes at the Avenue of Mausoleums (Shah-i-Zinda) in Samarkand, Uzbekistan; one of the oldest inhabited cities in Central Asia, along with Bukhara. 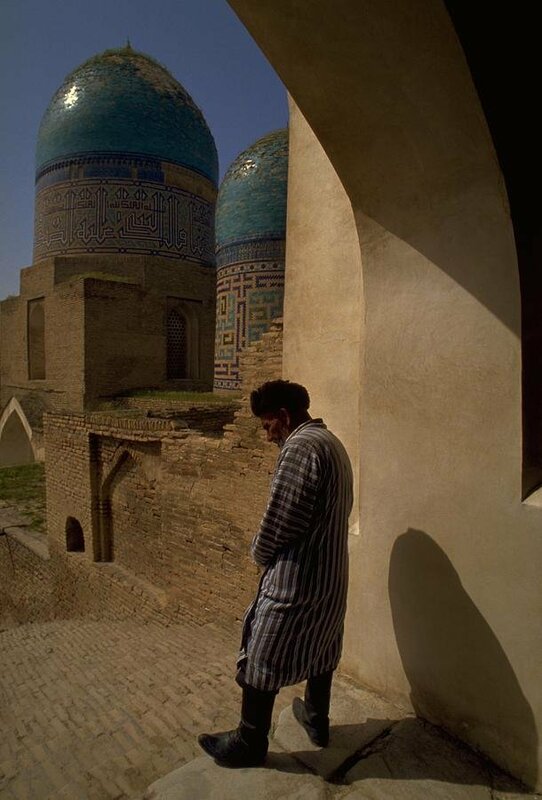 An Islamic centre for scholarly study, Samarkand prospered from its position on the Old Silk Road; described in 'The Travels of Marco Polo' as 'a very large and splendid city'. UNESCO added the city to its World Heritage List, in 2001; as Samarkand - Crossroads of Cultures.